The every computer or Laptop has its own serial number. The serial numbers are unique for every device. 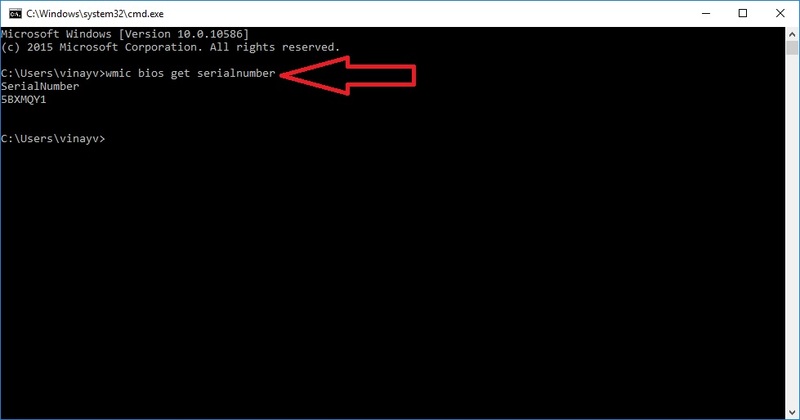 We can find the serial number of computer through command prompt. Then you will get the serial number of your computer as below showed image. The wmic bios get serialnumber command call the Win32_BIOS wmi class and get the value of the Serial Number property, which retrieves the serial number of the BIOS Chip of your computer. 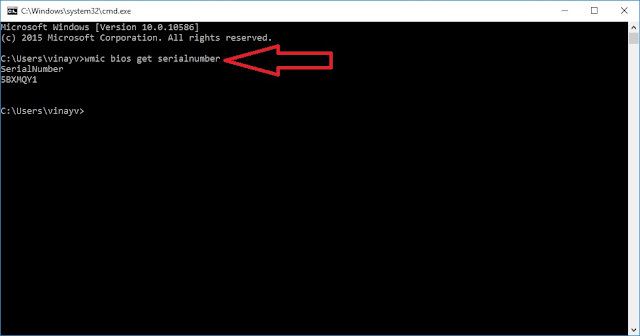 By using this command to get serial number you can save your time as it is very simple method. I think you have enjoyed Command to get serial number, anyhow thank you.